GLENDALE, Calif.--(BUSINESS WIRE)--Apr. 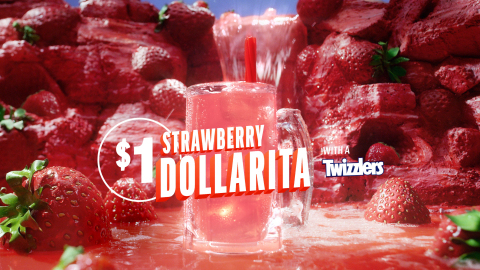 1, 2019-- No April Fool’s here – Applebee’s is bringing back the STRAWBERRY DOLLARITA™ starting today through the entire month of April. Just when you thought it couldn’t get any more delicious, this month we’re garnishing the drink with a TWIZZLERS candy, and it’s still only $1. Seriously, we’re not joking.